Spend a leisurely weekend in typical vineyard atmosphere while walkinig through the cellars or hiking in the vineyards. During a visit to a Heuriger, you can enjoy the delicious delicacies and taste our wines. In our rooms, which are all about grape and marble, you will find peace and relaxation. 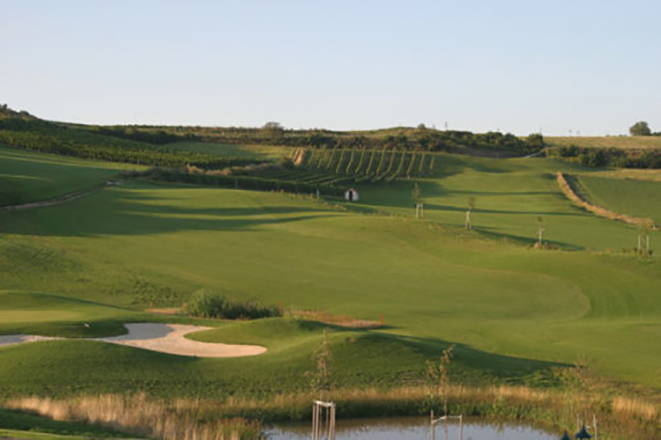 With a total area of 65 ha, the golfcourse “Veltlinerland” which is located between the vineyards, shrubs and woods offers the perfect chance to get some rest. You are invited to striking the ball! 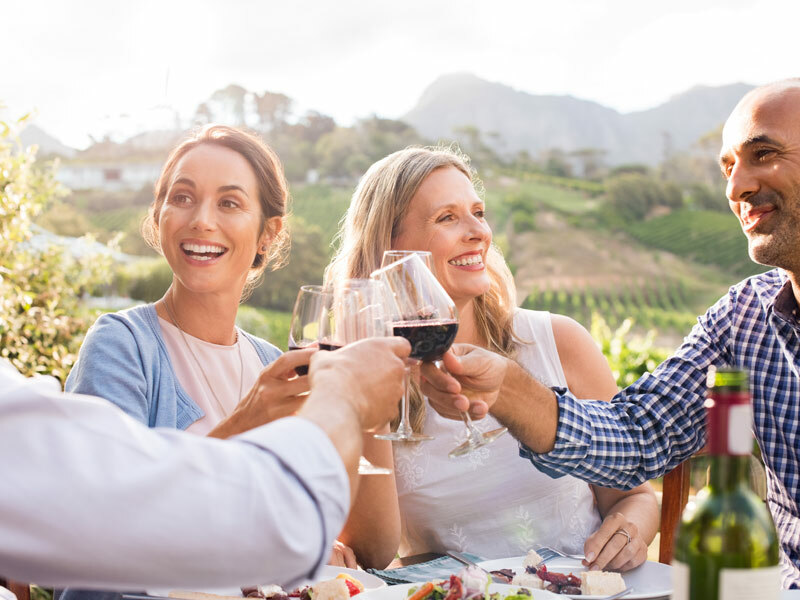 Enjoy playing golf, the Poysdorfer wines and the warm welcome of the locals. 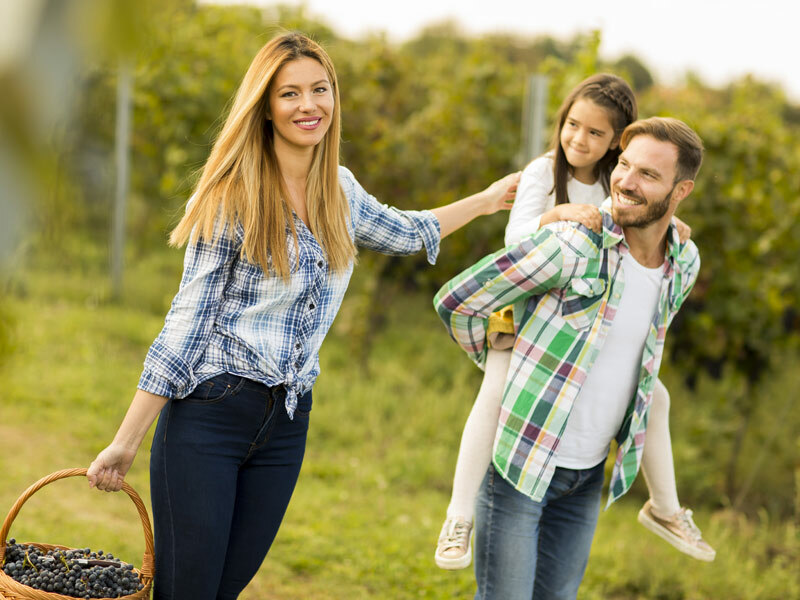 Families are welcome at the Wine Hotel! Family rooms for 2 adults and up to 2 children. On request, we can also provide a mesh bed. Poysdorf is the place to go for a short family trip. Short distances to many attractions are ideal for activities with children – there is fun for the whole family! All events and exhibitions in Poysdorf are easy to reach especially for families with small children. Wein & Traubenwelt is interesting and entertaining for grown-ups and for children with its playground and special guided tours for families. Restaurants and inns in Poysdorf are particularly family friendly. The wine town Poysdorf is surrounded by a characteristic natural Weinviertel landscape. If you don’t want to make long hike with your family, you can always take a tractor tour! 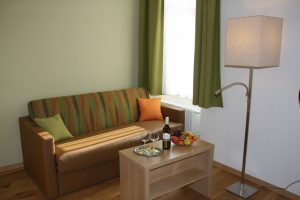 Accommodations in Poysdorf are well prepared for families with children. Take advantage of your NÖ Card for leisure activities and exhibitions in Poysdorf. In the wine town Poysdorf, you are as young as you feel, at diverse events as well as in the typical taverns and cosy inns. This is the proof that wine not only holds body and soul together but also holds all generations together. The wine town Poysdorf is a favoured destination for all ages. 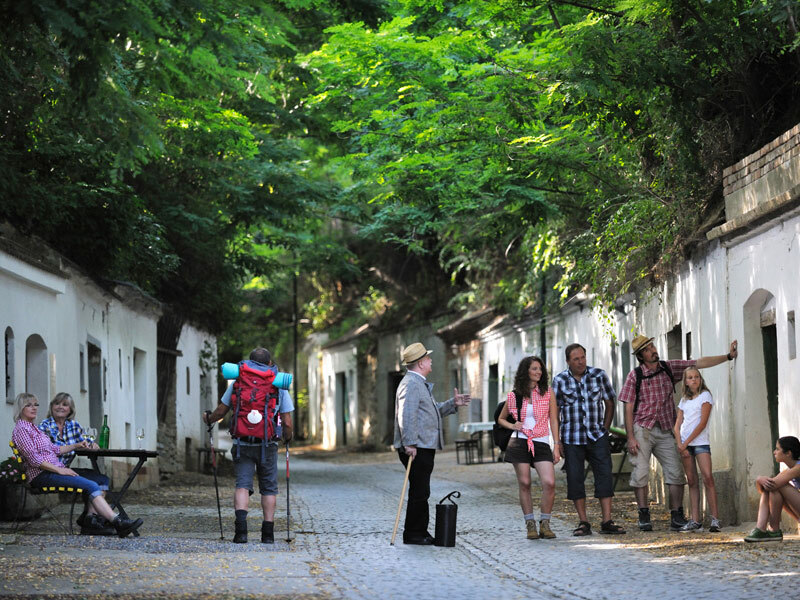 There is a vast offer of activities for all kinds of visitors – not only for wine lovers. Gastronomy in Poysdorf has the right setting for those who love tradition as well as for those who prefer modern ambiance. The culinary range goes from traditional cooking to modern cuisine, always accompanied by a matching wine. You like to spend the evening at a cosy tavern, or rather hang out in cool bars? You will meet company of all kinds anywhere in the wine town Poysdorf. Our hotel and winery is located right between Brno and Vienna and therefore ideal for any seminars and business events. 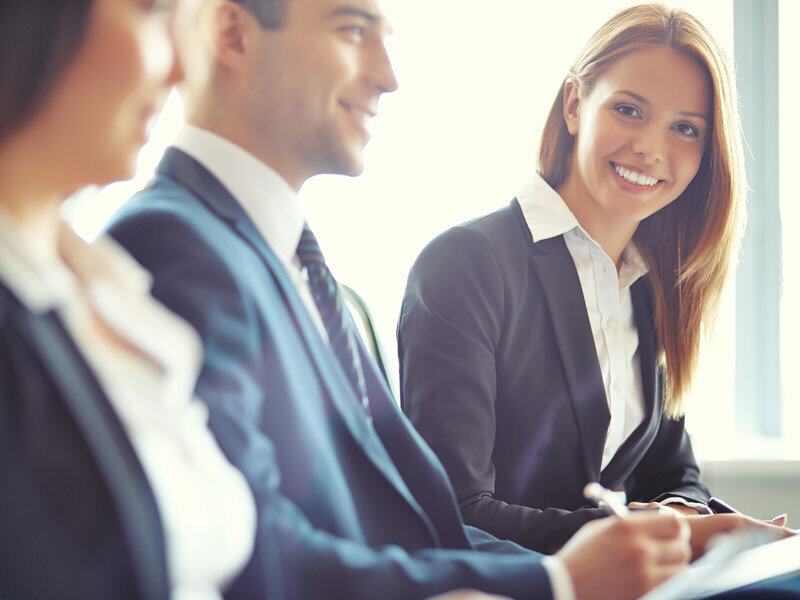 The seminar rooms are all well-equipped and vary in size but for your individual needs starting at 10 persons per reservation. The celebration´s room at the “Eisenhuthaus” offers you a capacity of max 20 persons. Our unique ambiance at the “Altes Bauernhaus” offers you a capacity of max 200 persons. We look forward to make you a special offer. Tour groups are cordially welcomed at the winery and the “Wein Hotel Rieder” as we set our focus on personal care. We are looking forward to have our offers listed in your tour programs. Our historic winery and restaurants will provide you a comfortable and ideal ambiance for your tour groups. If desired, we can create offers with half board (hot buffet or cold “Heurigenjause”) for you. All dinner packages starting at 20 persons per reservation. 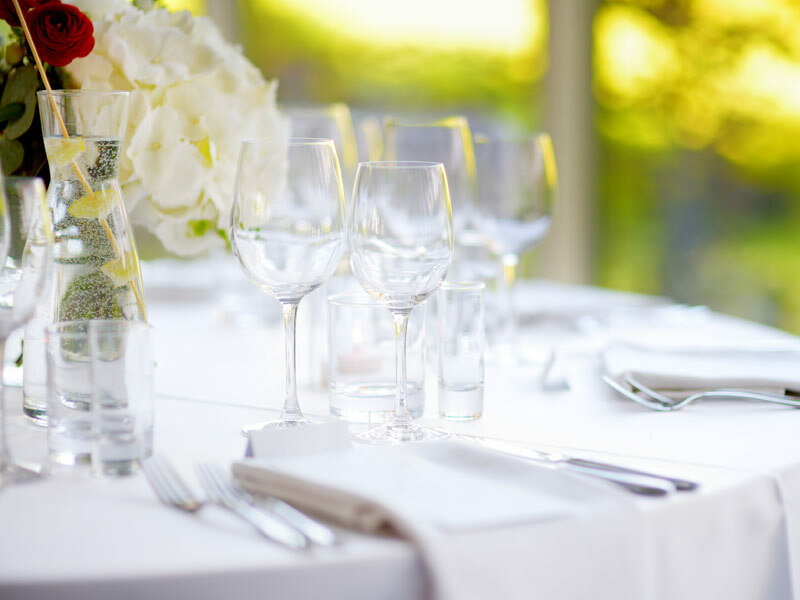 Wedding reception with sparkling wine and handmade pastry – de jour. All buffets can be individually planned. Prices depend on the selected food. Don´t hesitate to ask for your individual planning!